Rajaniemi's skill in portraying this very fresh visualisation of the future is supreme, and I think that this is through the characters themselves: we see the impacts of Rajaniemi's future Martian society on characters we care about, and it makes this sociological change truly visible - something that more hard SF writers should emulate! This is manifest in the Oubliette, where privacy has become a fixation: memories are stored externally, in encrypted exomemories, and access to any aspect of an individual is heavily controlled through 'gevulot', essentially an extreme privacy filter. If that person so desires, he or she is just a blur in your vision! Gevulot contracts can be entered into as well, which require the deletion of the memories during a conversation. And when something threatens this system that the protagonists care so much about, we viscerally understand the impact far more than when simply told. Our protagonists are flawed as well, driven by human emotions, but nevertheless we are able to empathise with them - even when they happen to be thieves and fanatics! Dialogue is generally good, although to fit the story's tone, it can't be quite as fast and banterish as, for example, Kate Griffin's excellent Urban Magic series. Overall? 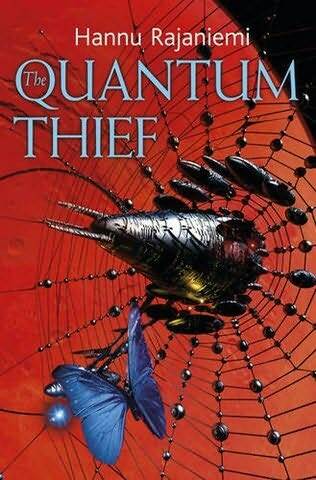 The Quantum Thief is a hard SF novel that doesn't require a degree in quantum physics to comprehend, although you will need some scientific understanding to get the references - this is hard SF, after all. Hannu Rajaniemi's sociological vision of the Martian society is superb, and this is certainly a successfully character-driven novel. Recommended for anybody who wants a blend between character-based and hard SF, or those with a scientific understanding looking to read into the genre. Welcome to the blog, Phantom Photographer. :) I'm following back as well.